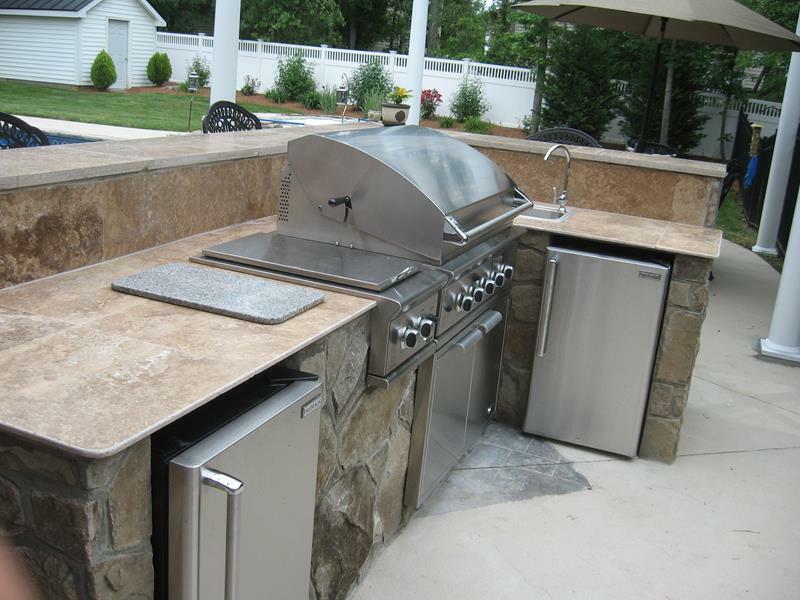 If you’re building your outdoor kitchen around the corner of your home, a curved layout can work excellently! 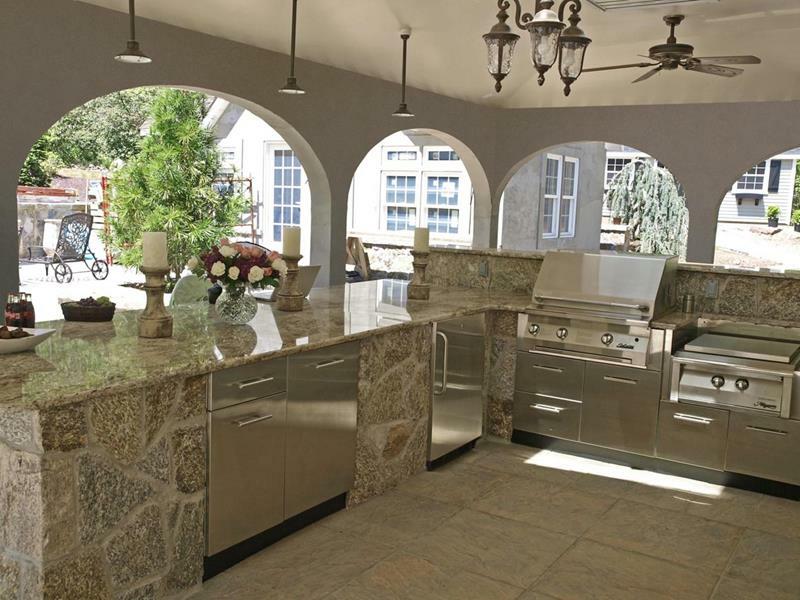 The beautiful stonework and high-gloss granite countertop give this outdoor kitchen a cheerful look. 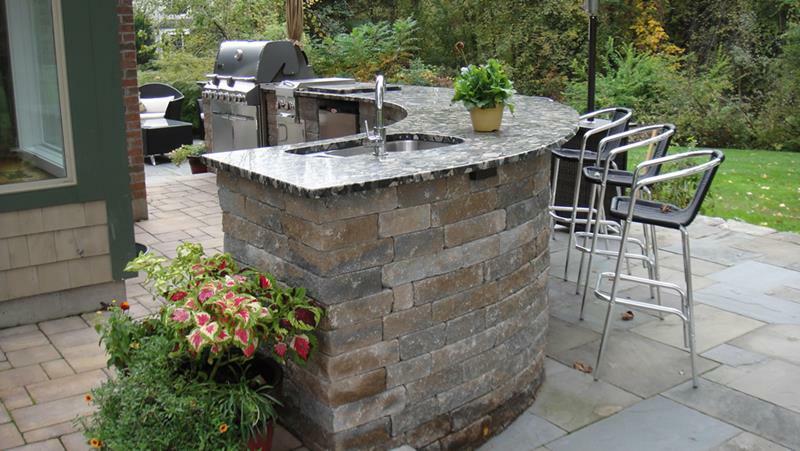 Under-counter shelves can be an attractive addition to your outdoor kitchen, and they can increase its functionality. 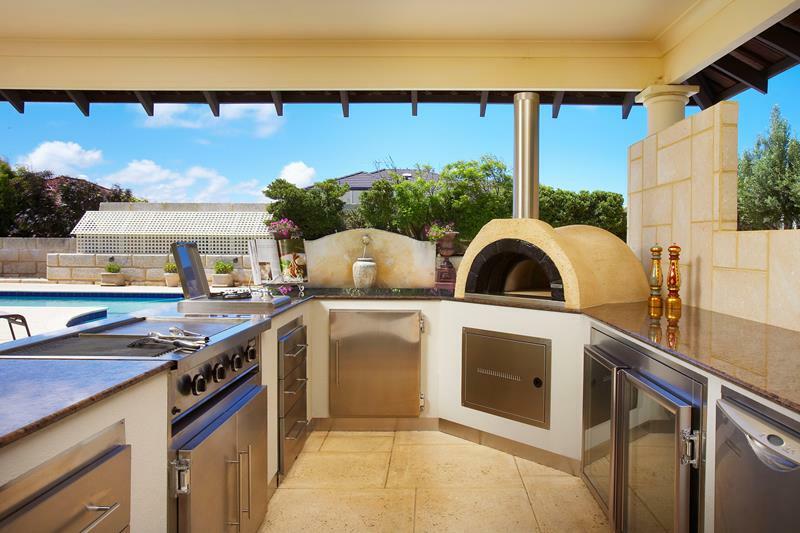 If you want an example of a fully loaded outdoor kitchen, then this is it! From a pizza oven to a griddle, it has everything. 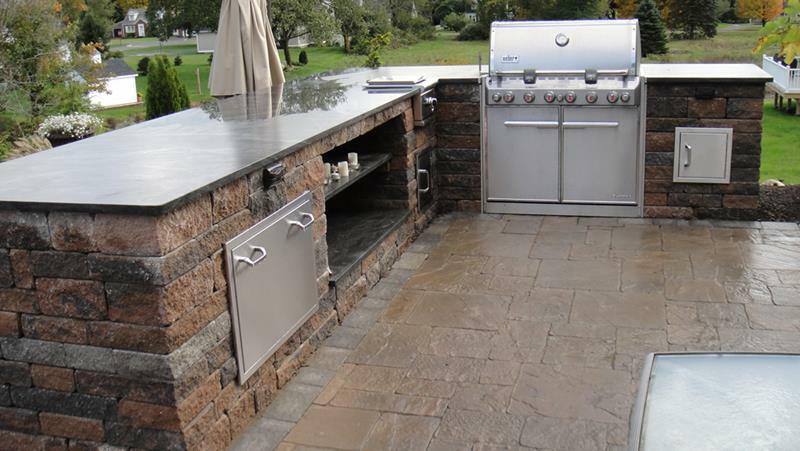 There’s a lot to like about this outdoor kitchen except for one thing – check out that sink placement! Don’t make the same mistake.